It’s been another turbulent week of politics here in the UK, with the Brexit deadline having been pushed back from this Friday (29 March) and Prime Minister Theresa May offering to stand down in order to secure more support for her withdrawal agreement. Given that MPs were unable to agree on the Prime Minister’s deal – or any of a string of seven alternatives - the fate of the UK’s future and its green economy policies still hang in the balance. But outside of the drama in the House of Commons, the Committee on Climate Change has continued to develop its net-zero strategy, the Business, Energy and Industrial Strategy (BEIS) Committee has continued with its energy efficiency inquiry and innovators across the world are still moving at a pace to launch new products, concepts and systems which could help pave the way to a more sustainable future. Here, edie rounds up six of the best. Since the opening of the world’s first floating offshore wind farm in October 2017, the technology has received growing support from investors and governments, with experts predicting that the world’s floating wind capacity could surpass 20GW by 2050 as the sector receives more than £33bn of funding in the UK alone. It is hardly surprising, then, that innovators are striving to develop more efficient, lightweight and affordable floating wind devices. Among them is the PivotBuoy turbine from cleantech firm X1 Wind, which claims to have a platform weight 80% less than existing models and cost around half the upfront price. To achieve these benefits, the device is fitted with single-point mooring systems and a tension-leg platform, which enables them to be placed deeper underwater. Full-scale prototypes of the turbine are now set to be installed in the sea around the Canary Islands by the end of 2020, after X1 Wind received €4m of EU Commission Horizon 2020 funding earlier this week. 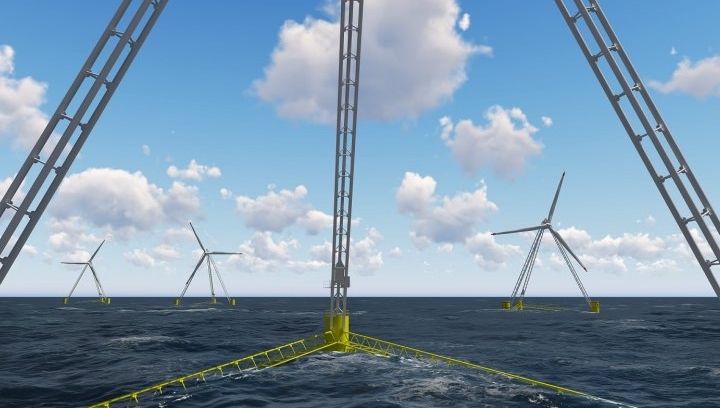 If the technology were installed at scale within the EU, the firm claims it could help bring the cost of offshore wind power from commercial-scale farms down to €50/MWh. Earlier this month, edie readers were keen to find out about a new closed-loop gin made using waste grapes, which recently received support from Tesco. The tipple was launched at a time when many other circular economy solutions for beverages are beginning to emerge, including ale brewed with waste bread and juice made from “wonky” produce. Continuing this trend, Somerset-based cheesemaker Barber’s has teamed up with local spirit brand Black Cow Vodka to recycle waste whey into a new alcoholic beverage. The recycling process involves breaking the whey down into butterfat, whey protein and lactose – the latter of which is fermented and distilled to make the vodka, while the former are sent to be included in butter and infant formula products. The fermentation process sees yeast added to the liquid lactose in order to covert its sugar to alcohol. Once this is complete, the liquid can be distilled, triple-filtered and finished. The final product is regarded as the only spirit in the world to be made solely from milk. Having been sold online via the Black Cow Vodka website and other specialist stockists for six years, the beverage recently received support from Sainsbury’s in the UK, as well as a string of bars and restaurants in Singapore. In the same week that Bloomberg NEF released new research revealing that the costs associated with building and operating large-scale lithium-ion battery storage arrays have fallen by 35% since last June, renewable energy firm Statkraft and energy storage specialist redT signed a deal to develop and provide behind-the-meter solar and storage projects to European businesses. Under the deal, the companies will bring a fully financed system which combines onsite solar generation and lithium-ion batteries to the market within the next year. The solution claims to enable low-risk energy savings of up to 20% over a 25-year period, reduce company exposure to energy price volatility and reduce the upfront costs associated with solar installations. Statkraft and RedT are initially targeting 10MWp of solar and 6MWh of energy storage, with a 2023 goal of delivering 100MWp of solar and 60MWh of energy storage. 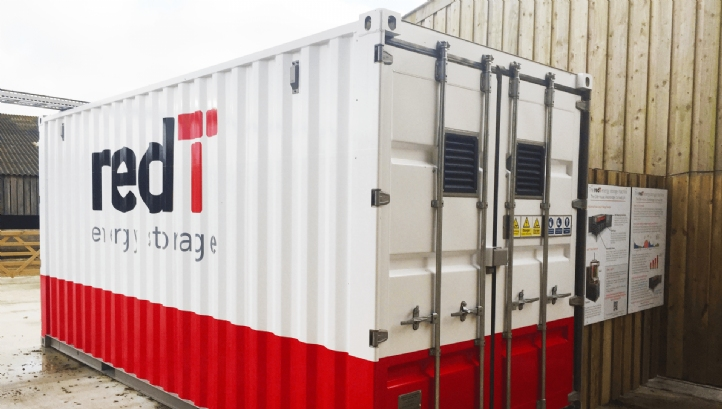 The energy storage technology will be delivered by redT, while Statkraft will provide flexibility optimisation services. In a bid to help consumers overcome concerns about the cost of charging an electric vehicle (EV) at home, utility Octopus Energy has partnered with EV technology startup Ohme to develop a charging cable which is capable of adjusting to fluctuating energy demands and prices. The device uses real-time data surrounding the energy market to ensure that the EV is only charged at times when the electricity on the grid is either at its lowest price, or comprised of the greatest proportion of renewable power. It is capable of syncing with Octopus Energy’s ‘Agile Octopus’ app, which enables consumers to track their energy use and spend and change the commands given to the cable to fit their schedule. For example, you could programme the app to ensure that the charger re-powers your EV to 100% by the time you leave for work on weekdays, and only uses the cheapest possible electricity otherwise. 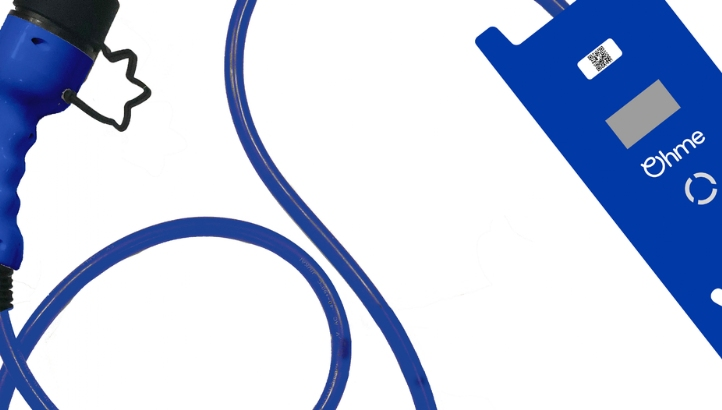 Crucially, the cable is “brand agnostic”, making it compatible with almost all EVs. Octopus claims that consumers could save up to £300 on their electricity bill each year by using the device, which was unveiled this week and will retail at £399. Also on the subject of EVs, battery recycling and other end-of-life solutions have become something of a hot topic in recent months. For all the good they play in the decarbonisation of road transport, EV batteries are typically warrantied for less than 15 years and considered hard to recycle, even though they contain high proportions of recyclable and high-value metals. Building on the launch of battery recycling schemes by the likes of BMW and Formula E, Finnish waste management solutions provider Fortum has developed a closed-loop solution which enables 80% of an EV battery (by weight) to be recycled into new products. The method involves stripping plastic, aluminium and copper components from the battery for reprocessing before taking the remaining chemical and mineral components of the device – known as “black mass” – to a chamber for chemical precipitation. During this process, substances such as nickel, lithium and cobalt are separated in pure, liquid form, ready for re-incorporation in new products. 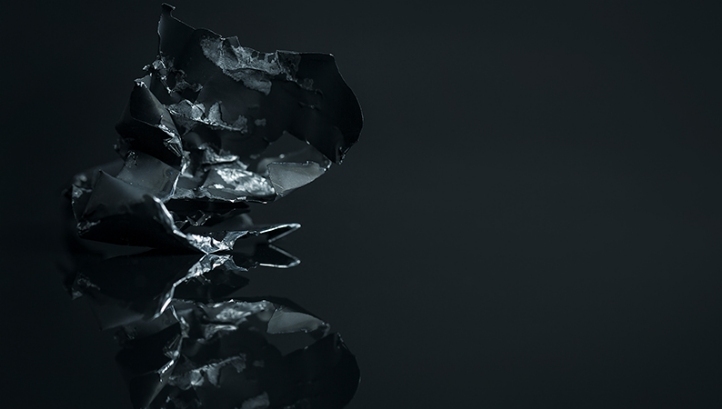 Fortum currently carries out this process at a hydrometallurgical recycling facility in Harjavalta, Finland, as part of a partnership with recycling firm Crisolteq. It is hoping to roll out the technology to other facilities across Europe over the coming years, as EV uptake rises and the first commercially-available EVs reach their end-of-life stage. It would be hard to deny that the war on plastics has continued well into 2019, with a recent study from Abundance Investment having found that plastic pollution is more of a concern to UK consumers than Brexit. And while the initial wave of corporate, government and public action against plastic waste seems to have targeted “highly-visible” packaging for food and drink, health and beauty and homecare products, attentions have since expanded to cover more “hidden” plastics in items such as wet wipes, sanitary towels and textiles. One innovation which seeks to reduce less visible plastic waste and has proved popular with consumers in recent times is the Ecoegg – a bioplastic shell which houses mineral pellets that generate suds without the use of soap or other chemicals. 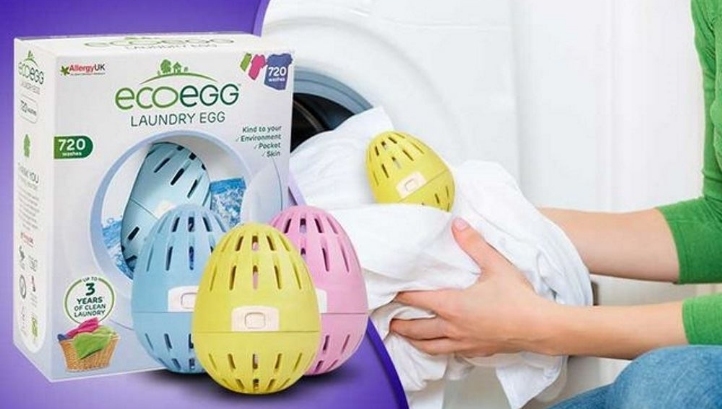 The device can be placed in a washing machine without detergents, pods or fabric softener, with the Ecoegg’s designers claiming that the largest of its products can be used for 720 washes before the pellets need to be replaced. In comparison, typical bottles of liquid detergent usually contain 36-72 washes’ worth of product. Once the mineral pellets reach their end-of-life stage, the device can be refilled. The Ecoeggs are manufactured in Gillingham, Kent, and were recently launched to the US market following their success in the UK. The largest device in the range costs around £25.